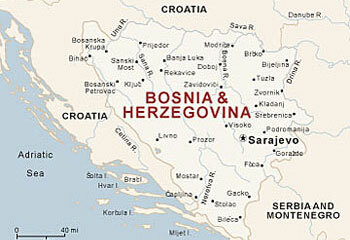 SARAJEVO, Bosnia and Herzegovina — The House of Representatives of Bosnia and Herzegovina (BiH) on Thursday adopted a bill criminalizing incitement to hate crime inclusive of gender identity and sexual orientation. The bill will now be submitted to the House of Peoples, and is expected to be put to the vote by September, and then signed into law by BiH’s president. The Coalition for Combat Against Hate Speech and Hate Crime of BiH has been working on the draft with lawmakers, as the current law is “too narrow,” according to a statement by the Coalition. The Coalition said it was informed Thursday by the House of Representatives that amendment proposal had been adopted. “This a great example of cooperation between BiH civil society organizations and political parties, where the parliament did recognize the expertise that is coming from BiH civil society organizations,” read the statement. BiH is a federal republic, of which the Republic of Srpska and Brčko District has already introduced hate crime regulation in 2010.